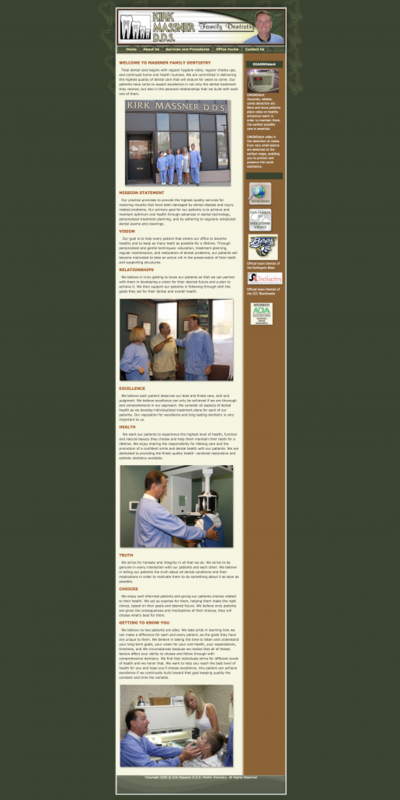 New clients was a top priority on Dr. Massner’s mind when he hired Big Ten Web Design. We talked to Dr. Massner before we ever started creating his new website and asked him about the rate of new clients he was getting because when we checked we can’t find his website showing up on the first several pages of Google in Burlington, Iowa. He admitted to us, that the rate of new clients had trickled off over the years. We did some investigating on his website and found that only one page is being indexed by Google and it was under a different domain name. That URL was http://www.elocallink.tv/profiles/ia/burlington/14/index.html as of writing about this website, the link still works. There you will see that the website isn’t mobile friendly and wasn’t really helping out gaining trust in the company. Our client wanted the ability to go in and edit the page’s content once the website was up and running. We using WordPress and that is a standard feature of our software. It’s now also mobile friendly and has an SSL for security.